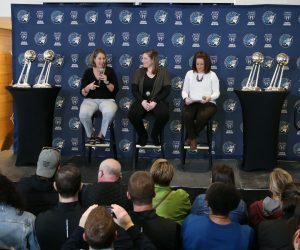 The Minnesota Lynx will unveil their new logo on Friday during the game against the Los Angeles Sparks. Part of the unveil will include a live painting of the logo by creative artist Dan Dunn. Dunn has painted during halftimes of basketball games, corporate events, late-night television shows and for the 2010 Super Bowl. And if you haven’t heard of Dunn before, his stuff is pretty incredible. Dunn started his career with caricatures before being inspired by speed painter Denny Dent. Dunn then rented a storage unit and practiced before his first show about 10 years ago. Since, Dunn has been a busy, busy guy. The Texas native had a live-painting video that was put on YouTube by his 13-year-old daughter in 2006. The video went viral and was YouTube’s 45th-most viewed video at the time. After his children grew older, Dunn went on tour. Since then, he’s been to 39 countries, and amazingly, has raised $3 million off of his paintings for charity. 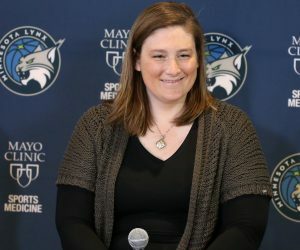 That number will grow as his Lynx logo halftime painting will be auctioned off at Lynx For A Cure which will take place Sunday at The Courts At Mayo Clinic Square. 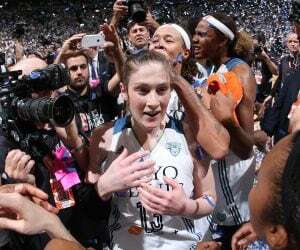 The Lynx reached out to Dunn for this special event and Dunn will paint the logo on the court at halftime. And performing for crowds is something Dunn has been fond of over the years. 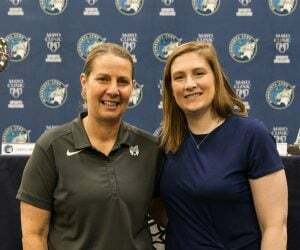 “I always feel like the sense of entertainment is surprise,” Dunn said of painting the logo unveil during a phone interview. “Anything you see from a movie or comedy, or something that makes you laugh, that’s what entertainment is all about. I’m going to try to hide things and surprise the audience. Tipoff is set for Friday at 7 p.m. If you’re unable to attend, you can watch on NBA TV or Fox Sports North Plus. The game will also air via radio on BOB 106.1 FM.